So you’ve decided to cut your hair. The way I see it, it doesn’t really matter how long after your last relaxer was – as long as you’re ready. I originally planned to have about 3 inches or 6 months’ worth of growth before chopping but I couldn’t wait. And I’m glad I didn’t because it gave me time to fight and bond with my hair and really go through all of the stages being natural comes with. From scratch. 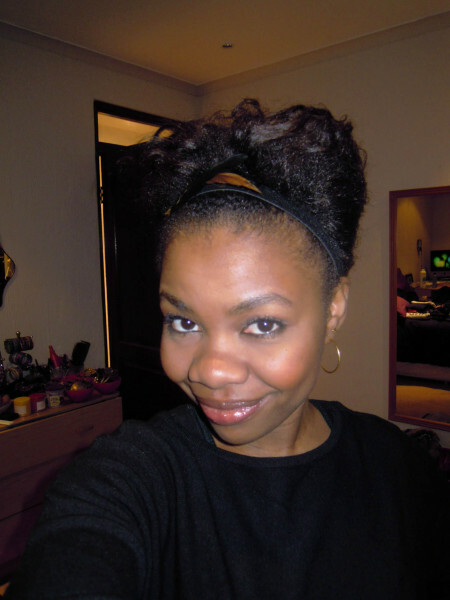 Here’s what I was thinking a few days before I chopped off my relaxed hair. with my big earring, I think I could totally make something of my TWA. better so it won’t affect my natural hair. Please make sure to read Sunshine’s blog post on the 4 Things You MUST Do Before Your Big Chop. This post was my pre-big chop bible. She summarises the steps beautifully. I’ve done it backwards (cos sometimes my mind just works that way) but now you’ve read and possibly experienced the moment before going natural, have a read of the Being Natural series, where I’ve documented each of my feelings and experiences in my first year of being fully natural. Aisha 🙂 you're a complete God send! im currently 3 and a half months into my transition and your blog has been so helpful especially cause im Kenyan and i study in Pretoria. your products and styles are so helpful. thanks so much. where do you get your shea butter? Hi, thanks for the post! Much appreciated. Would you be able to copy/paste (with credit of course) the content of Sunshine's blog as it forces me to sign-up to some network.